Al's Loves: What a Peach! Recently I was perusing the aisles of the new large Rexall near my house, and came across the Essie Spring collection. Unlike OPI I feel like the Essie collections go completely unnoticed by me, and I tend to just randomly pick up polishes when I see them. As opposed to the hype behind a lot of OPI collections. I really like 'A Crewed Interest' because it is a true peach shade, which I have been craving to add to my collection this year. 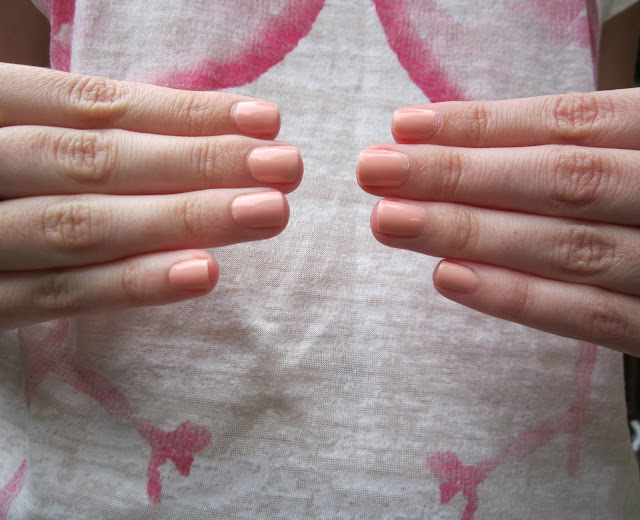 I got this opacity like most Essie polishes with 3 coats. It is very non-offensive and brings out Summer in your nails with out having to go the neon route. I have really grown to like Essie and it tends to go on sale at either Wal-Mart, Shoppers or Rexall pretty often, so check for deals. My sights are currently set on Mojito Madness and Bikini So Teeny, because I do love the colours and I wont lie, I love the names. What polishes are you guys after, or trends? 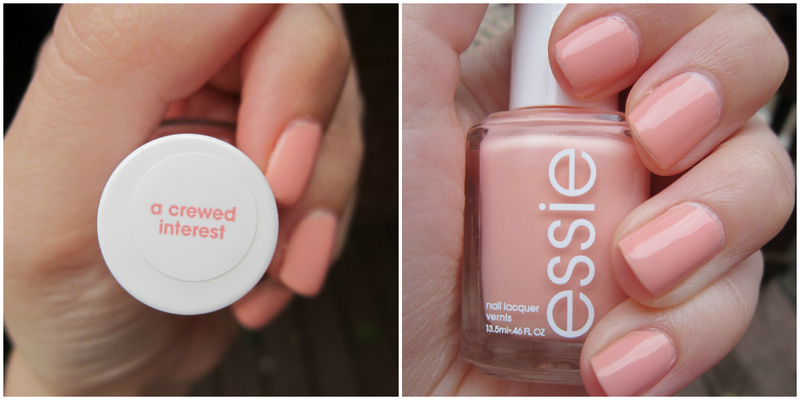 and what are you thoughts on Essie?